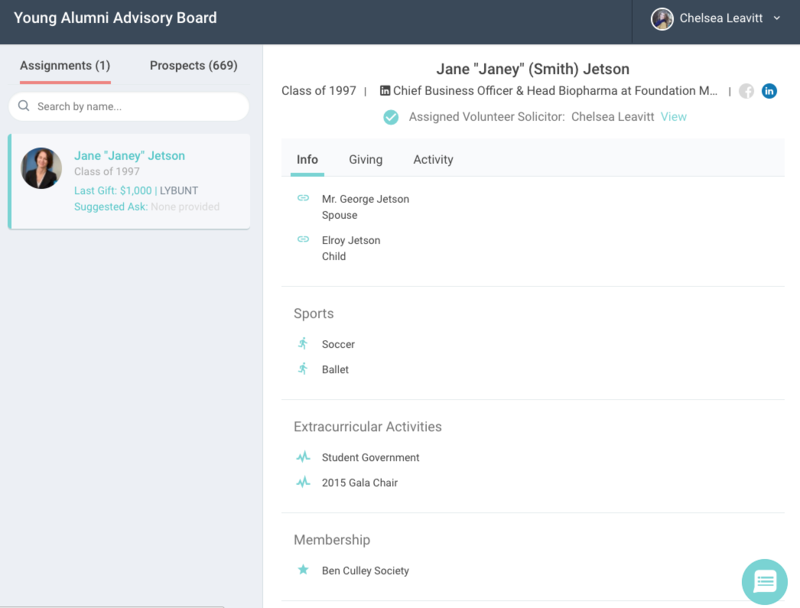 To display additional pieces of information on a prospect to your volunteers, use EverTrue's constituent level custom fields! Any custom field that you've implemented in your main constituent file can be enabled for viewing in the volunteer platform as well. If you have additional fields you'd like to include for your volunteers that aren't currently in EverTrue, feel free to add them at any time. Contact genius@evertrue.com to have your custom field(s) created, and make sure to tell them the field name, data type (string, date, boolean, number, monetary), and platforms it is intended for (EverTrue, Volunteer, and/or Community). Once EverTrue Support has confirmed the fields have been added and enabled for the Volunteer platform, you'll be able to import and map that data via your constituent file. Note that custom fields are enabled for the entire Volunteer platform, not pool-by-pool. Your volunteers will now have access to those custom data points in Volunteer. If a prospect has a value for that custom field, it will be shown near the bottom of the "Info" section of their profile. However, if no value exists for that prospect, the custom field will not show on their profile, i.e. no placeholder for that field value will exist. As an example in the screenshot below, "Membership" was created as a custom field for this institution.